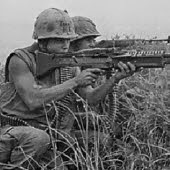 Vietnam War and American Foreign Policy, 1960-1975 contains documents generated and collected by the media, the military, the CIA, the U.S. State Department, the National Security Council, Presidents, and selected Cabinet members. The resource is focused on the Vietnam War, but the collections in the module address all of the most important foreign policy issues facing the United States between 1960 and 1975. The documents can be browsed and searched (Advanced Search is recommended). ProQuest’s brochure includes a list of all the collections.